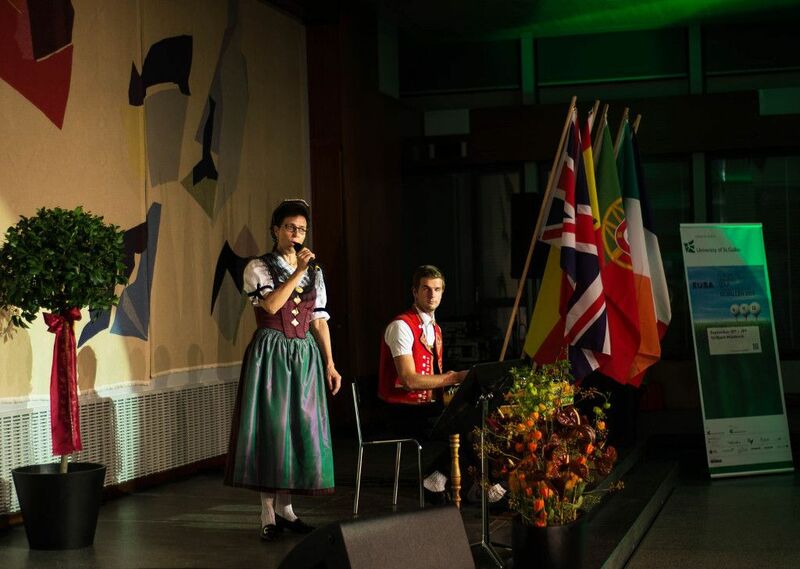 The Opening Ceremony of the 4th European Universities Golf Championship took place on September 15 in St. Gallen at the Aula of the University of St. Gallen. 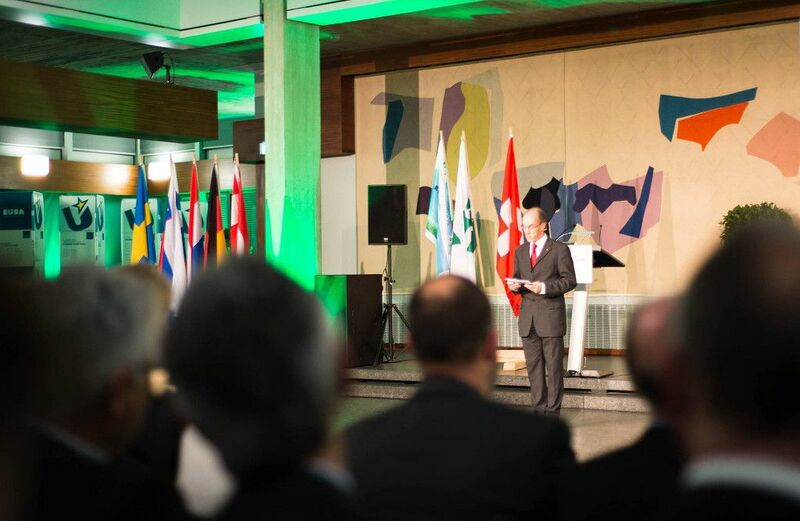 The Ceremony was attended by all participants, as well as notable officials, including Mr Patrick Stach, member of the board of governors at the University of St. Gallen, Mr Markus Brönnimann, executive director of the University of St. Gallen, Mr Marcel Meier, representative of the Swiss Golf Federation and Mr Marcel Thoma, director of sports services, City of St. Gallen. On behalf of the Organizing Committee participants were welcomed by Mr Daniel Studer, Chairman of the OC EUC Golf 2015 and deputy head of University Sports of University of St. Gallen. On behalf of the European University Sports Association (EUSA), EUSA Executive Committee Member Mr Kemal Tamer welcomed all participants and wished all the teams and participants who came to test their skills and abilities great competitions and all the best. He also thanked the Organizing Committee for all their contributions. The competition is organized by Swiss University Sports Federation and the University of St. Gallen, with contribution of Golfpark Waldkirch. 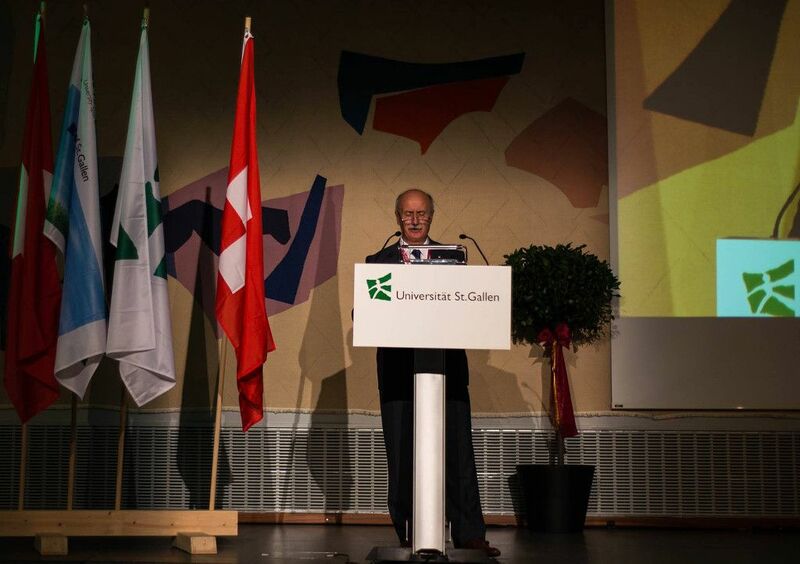 After the 2011 European Universities Tennis Championship, the University of St. Gallen is hosting a European Universities Championship for the second time. University representatives also stated that it’s an honour for the University to be an active member of EUSA, by organizing EUC events and allocating qualified staff such as Mr Leonz Eder, EUSA Vice president and Mr Daniel Studer, EUSA TD Tennis. The Championship is taking place from 15th to 19th of September 2015 at the Golfpark in Waldkirch. 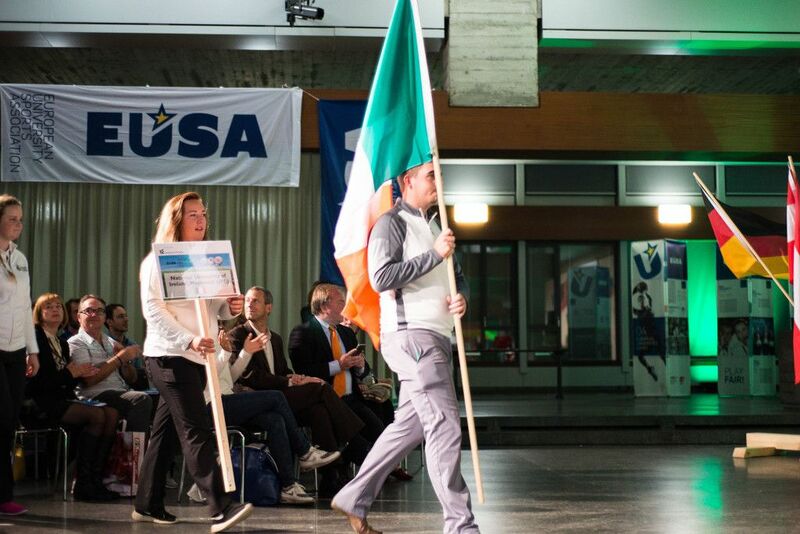 The competition is hosting 17 female and 54 male athletes representing 16 Universities from 11 countries. In total there are 23 University teams present, whereof 12 men and 5 women teams fight for the title of the EUC Golf champion 2015. The title of European Universities Champion is defended by University of Stirling (GBR) for Men’s Team and University of Halmstad (SWE) for Women’s Team. 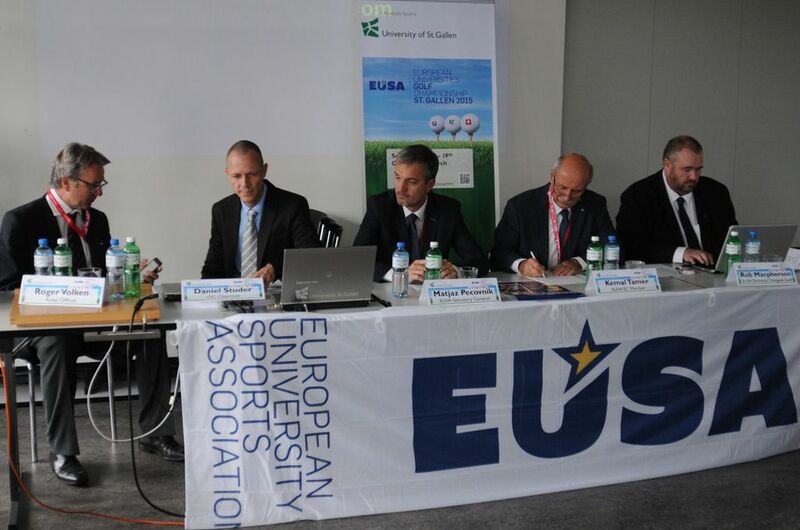 EUSA is represented at the event also by Mr Rob Macpherson, EUSA Technical Delegate for Golf and Mr Matjaz Pecovnik, EUSA General Secretary. 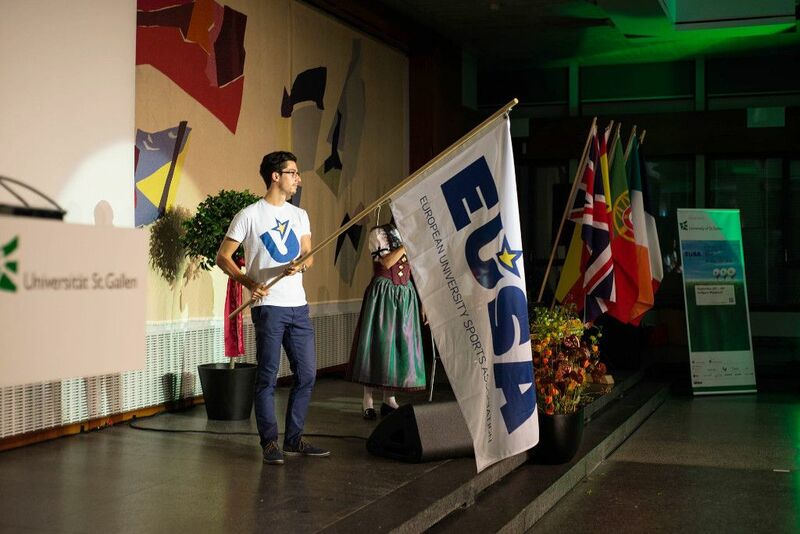 EUSA representatives together with the Organising Committee members and over 70 volunteers are making make sure that the event runs smoothly and without problems. For detailed results, news and more information, please see the official website of the event.